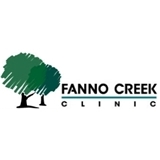 Fanno Creek Clinic (Portland) - Book Appointment Online! If you are a new patient to our clinic, please arrive 15 minutes early to your first appointment. Finally, I have a doctor who takes the time to listen to my medical concerns. He knows my medical history before coming in the room and then listens carefully to what my concerns are. His treatments are clear, uncomplicated and well-explained. His intelligence, methodology and compassion are qualities that he puts to good use as a physician. I am pleased to have switched to his practice. Great doctor. Always takes the time to listen. I never feel rushed. She was very thorough and listened to all my concerns. She was very nice. She is always a good listener and helpful with my health issues. Dr Levitte has been a good listener, a good diagnostician and my trusted PCP for several years. He has always had my back whenever I needed medical advice or care. Would recommend him without reservation. He doesn't spend time on small talk. He thinks quite quickly and clearly, so some might see him as brusque until you get used to his speed and rhythm. If you are comfortable with that, you're in good hands! Dr. Coodley was a grest listener and came up with a treatment plan that we both agreed on. I would highly recommend him. Dr. K is a very personable, knowledgeable Physician. He asks, listens, takes notes, is familiar with one's history, and if he doesn't know something, knows how to find out and makes sure to get it right back to you.